At IMAS we work with various organisations and institutions to ensure we provide the very best in advice, education, and expertise to our stakeholders, peers, and students. The following partners, projects and collaborations make up a vitally important part of our role in providing world-leading scientific and policy-ready research outcomes. The Antarctic Climate and Ecosystems Cooperative Research Centre is Australia's primary vehicle for understanding the role of the Antarctic region in the global climate system, and the implications for marine ecosystems. Our purpose is to provide governments and industry with accurate, timely and actionable information on climate change and its likely impacts. The University of Tasmania (via IMAS) is one of the seven core partners. IMAS hosts the ACE CRC at our Waterfront building in Hobart. The Centre for Marine Socioecology makes use of the critical mass of nationally and internationally leading researchers present in Hobart. The Centre brings together a wide variety of disciplines: oceanography, ecology, economics, policy, law and social science. These disciplines are in active collaboration to directly address the theory and applied sides of marine socio-ecological systems. The Centre is a collaboration between the University of Tasmania (via IMAS), CSIRO and the Australian Antarctic Division and is hosted at our Waterfront building in Hobart. The Sustainable Marine Research Collaboration Agreement (SMRCA) between the Tasmanian State Government and the University of Tasmania was established to support research on Tasmanian marine resources, including commercial and recreational fisheries, wild harvest and aquaculture. Our strategic approach to the SMRCA attempts to balance the economic, social and environmental factors that contribute to ensuring a sustainable and productive future; engaging with industry and other partners for the long term prosperity of both Tasmania and the broader Australian community. 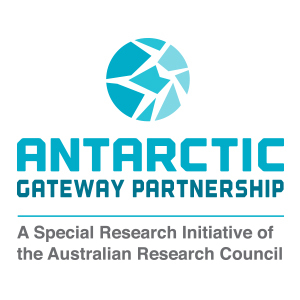 The Antarctic Gateway Partnership is a special initiative of the Australian Research Council. The Partnership is a capacity-building development package, enhancing Tasmania as a global leader in Antarctic and Southern Ocean science, and as a gateway for Antarctic research, education, innovation and logistics. The program involves the employment of forty young researchers and technicians working with senior scientists at the largest Southern Hemisphere Antarctic and oceans research hub. The Antarctic Gateway Partners are the University of Tasmania (via IMAS), CSIRO and the Australian Antarctic Division. The Partnership is hosted at our Waterfront building in Hobart. RLS has established the first global baseline of marine biodiversity using consistent methods, which includes abundance data for over 3500 marine species at more than 2000 sites in 40 countries. The Integrated Marine Observing System (IMOS) is one of the national research infrastructure capabilities currently supported under the Australian Government's National Collaborative Research Infrastructure Strategy (NCRIS). Since 2006, IMOS has been routinely operating a wide range of observing equipment throughout Australia's coastal and open oceans, making all of its data accessible to the marine and climate science community, other stakeholders and users, and international collaborators. TPAC operates sophisticated e-Research capabilities on behalf of Australian and IMAS researchers. We host research collections from research programs and research observing systems. TPAC has more than 1 petabyte of collections being hosted and served to the research community representing research investments in excess of $250m. This facility is an investment of over $5m in hardware by National Collaboration Research Infrastructure Service (NCRIS). The international science community has long recognised the need for a coordinated and integrated approach to observing the Southern Ocean. Under the direction of the Scientific Committee for Oceanic Research and the Scientific Committee for Oceanic Research, and with the input of the World Climate Research Programmes' Climate and Cryosphere (CliC) and Climate Variability and Predictability (CLIVAR) projects, and the Partnership for Observation of the Global Oceans (POGO), the concept for the Southern Ocean Observing System (SOOS) was developed.